The epithelia of the villi extend down into the lamina propria where they form crypts. 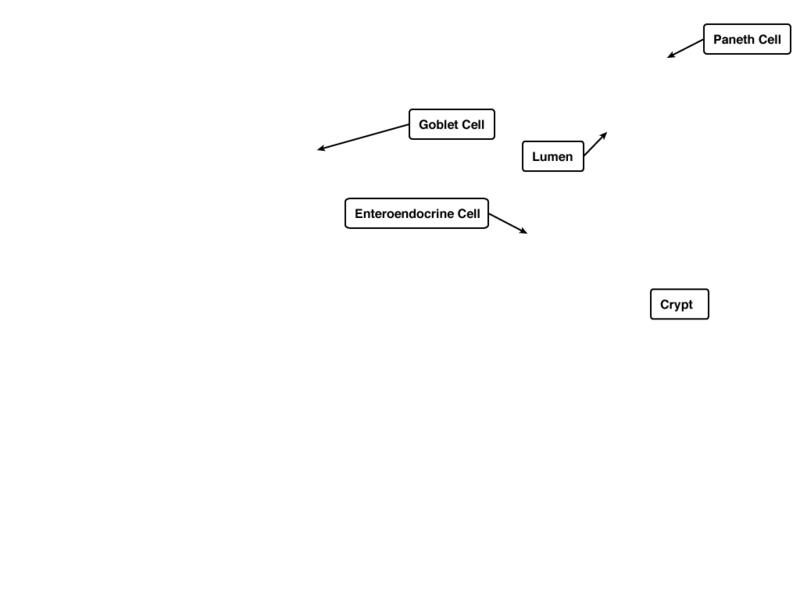 Many important cells reside in the crypts, including those involed in host defense and signaling. 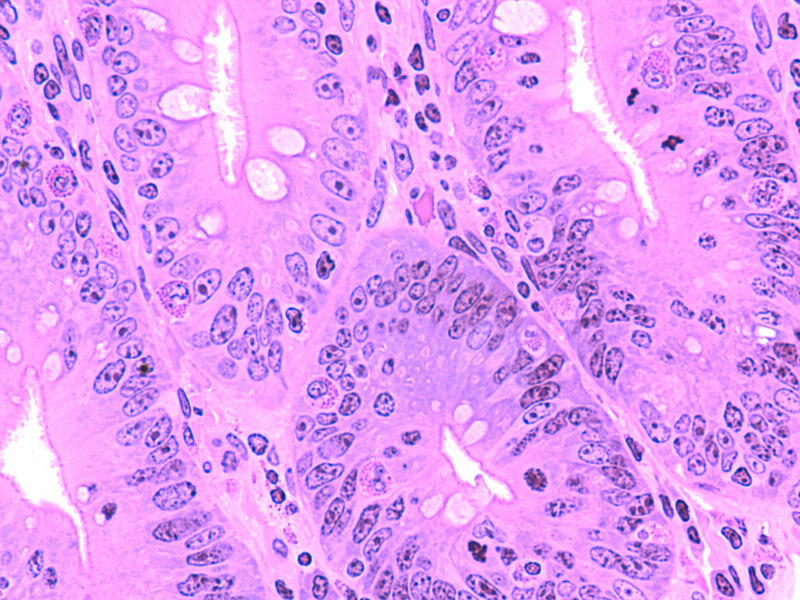 In addition, stem cells that replenish the epithelial cells further up the villi are also found in the crypts. Identify mitotic cells in the crypt. Paneth cells, which appear spotted and eosinophilic, support the host defense against microbes. Which hormones do the enteroendocrine cells of the epithelium secrete?